"Makes searching online databases so much easier." What I liked best about this product is how easy it becomes to find references, search online databases and publish them, all in one program. Makes it a lot easier to do it all in one, additionally saving me time and making it a lot more convenient to do research! I do dislike using this for collaborative projects. I feel as though it becomes hard to create bibliographies when you're working with several different people, all with different perspectives on the topic. It's tough to use this in group work. I think making this more accessible for people to use all at once, working collaboratively would be the next step. This program is great, but it's also not advertised to the right market. Yeah, companies do use this, but college students would benefit greatly. The business problems include it not being fit for group work. I do benefit from the spell check, identification of duplicates and organizing references without me wanting to pull my hair out! I do think this would be a good product to market to a younger audience who is doing research. 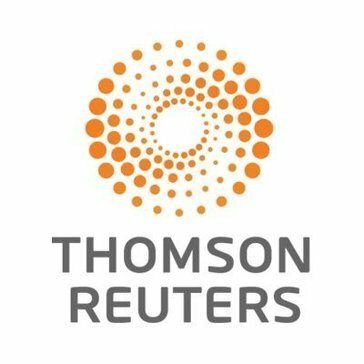 "Thomson Reuters Reference Manager "
Thomson Reuters Reference Manager is a great program that saves a great amount of time and effort. Thomson Reuters Reference Manager gathers, organizes and assists in disseminating valuable data. This software is my favorite for publishing research papers. Thomson Reuters Reference Manager is a well designed and implemented program, of which I cannot think of any improvements needed. Thomson Reuters Reference Manager is an excellent program to save time, compile data, and produce papers and publish information. "Use of Thompson Reference Manager in Research Paper "
Easy-to-use platform that allows one to have a central database of references for any projects. You can have multiple members that can edit, review, add, and delete sources all simultaneously, which is great for collaborative work. The transition to EndNote formatting might not be 100% accurate. When too many users are on at one, the site can be very slow. How many sources/citations you need to have; Reference Manager is really useful for an extremely large number of citations. Using Reference Manager to keep track of references used in writing research papers and peer analyses. Great tool, especially for collaborative efforts where numerous members have to contribute to one paper. "Great for doing systematic reviews"
Excellent UI and ability to search for references directly instead of having to find the titles through an index like pubmed. Allows you to quickly find references and organize your bibliography. Collaboration is also easy with the share features. Occasionally crashes on my computer but that may be specific to my machine. "Application Administrator and Techical Advisor"
Library sharing capabilities, overall good functionality cataloging references. Was not as effective at cataloging references as EndNote, and has since been replaced by EndNote as the company's lead reference management product. Support multiple hard sciences researchers in the Biological and Medical fields. They need to effectively find research articles that relate to their field and also catalog their own contributions. This software provided an effective sharing tool for those catalogs. "An alternative among good RM"
Reference Manager (now Endnote) offers 30 days free trial includes desktop and web access. I can also run it on either Mac or Windows. As long as we need to integrate with Microsoft Word to cite and write the research paper, I would highly suggest using the tool for the future convenience. I used it because I simply wanted to write my research paper, also to consider which tools are best. "Reference Manager allows me find a multitude of data on other peoples perspectives." I like best is that Reference Manager allows me to learn about what others opinions are on certain industries. I dislike how others can edit information who may or may not be qualified to make suggestions. I think that the quality of speed would increase my ability to use Reference Manager easily. Problems that I am solving with Reference Manager are that I can find data quickly. Benefits include finding synonyms fast. "Big name but small value"
Sloppy and clumsy interface. Very confusing mechanics. Not presentable in a clear manner. Publication and web hosting. Havent really benefitted from time using this. "Easy way to organize citations"
The program makes writing citations easy. It is not easy to edit a document or citations once the program has run. We use it for citations and endnotes in our materials. This resource is a resource "Google" database. No better than other resources I have used. Use the trial to evaluate whether or not it will help you. Access to the best information. * We monitor all Reference Manager reviews to prevent fraudulent reviews and keep review quality high. We do not post reviews by company employees or direct competitors. Validated reviews require the user to submit a screenshot of the product containing their user ID, in order to verify a user is an actual user of the product.